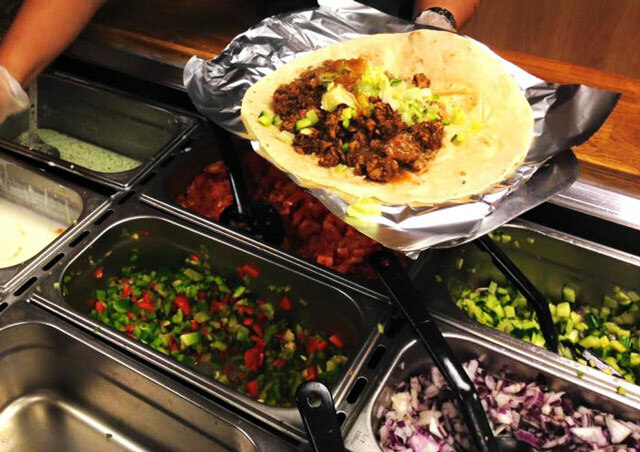 As you are well aware, Belfast has gone absolute burrito-crazy over the last few years... On this week's show, we sat down with Samina Kauser to hear how Kurrito – a Mexican Pakistani restaurant on Botanic Avenue - is spicing up the local Burrito industry. Samina is a highly passionate, driven and entrepreneurial woman with a love of cooking, food and making the customer experience the best it can be. We caught up with her to hear her story of how she went from working at a strategic level in Chrysler to opening up Kurrito on Botanic Avenue. How would you convince Liam Neeson to try a Kurrito if he walked in one day? Well, I'd let him know that it's authentic, traditional Pakistani curry – in a wrap! Plus we also won the 'Best Burrito Award' at The Food Awards NI this year. Tell us a bit about Samina Kauser. In business, I always think it's a case of thinking outside the box and offering your customers something different. I've looked around and haven't food anything else like it on the market. Northern Irish food isn't exactly known to be... spicy. How on earth have you convinced people to get on board with Kurrito? People over here have this assumption that curry is incredibly spicy and unhealthy, but for traditional curry, this isn't the case. Many chefs are afraid of sticking to their traditional cooking styles and as a result, most of the curry over here is typically heavy, thick and really fatty. I feel like a drug runner only for spices! But this means that we can give our customers something new and expose them to foods and flavours they wouldn't otherwise have access to. Plus you can spice up or spice down our food with our homemade chutneys, sauces and yoghurts, so we can adapt it to people's personal tastes. In saying that though, I was so shocked at how much people like spicy food over here and I think there really is an appetite for it here in Belfast. Getting people through the door was the hardest part, in the beginning, there was a lot of standing outside and giving away samples just to get people to taste it. Now I have the most loyal customers in the world and I know that all I have to do is get people to try it once and the food will do the rest! Random question... Do you know how heavy your burritos are? Ahahaha. I actually had a customer tell me one time it was the weight of a newborn baby! I wouldn't go as far as that but it really does depend on what you get in it, whether you load it with more rice or salad and so on. At the end of the day, it's hard to find a meal that's cooked from scratch, without any preservatives for £5 that's a great tasty feed that will fill you up. I used to be a business advisor back in Nottingham and even worked at the strategic level for Chrysler, but I always wanted to open my own business. My dad came over to the UK in the 1960s and worked in a factory his whole life. When have parents who are immigrants and who moved there's a real work ethic that they've instilled in us. I have 7 siblings and all of us are very entrepreneurial. Although I've worked for big companies also ran my own clothes business back in England and I've always loved doing that. Yes, there are stresses, of course, it's certainly not easy but what I love about Kurrito is that it unites my love for business and my love of food. That or when they tell us how much they enjoy it and especially when they come back! I'm constantly thinking about new things to add to the menu and expand Kurrito further. One of the things I'm really working on right now is to expand into chilled-food. I've noticed that the options for chilled curry-dishes in the garages and Spars/Centras isn't great. Honestly, most of the curry that's there definitely doesn't look like curry (I'm not even going to mention what it looks like. The idea is that we can offer the same, delicious fresh food only sealed and chilled so it can be enjoyed at home or on the go. I'm starting off doing it in the shop (just bought a chilled fridge!) and am actively looking into ways to get it onto the shelf. The beautiful thing about Belfast is the people. I had a new staff member start and she said 'you have the nicest customers in the world' and she's absolutely right. I think I opened Kurrito during a beautiful time in Belfast history, the city has been through a lot but there's a lovely change happening here in Northern Ireland both in terms tastebuds and attitudes as a whole. I've had a lovely experience in Belfast and really love the people, you guys like to talk a lot and so do I! How can our listeners get in touch with you? Well, you can find me at Kurrito on most days. We have a special Friday lunch deal but throughout the week all of our main dishes are only £5. You can also follow us on Instagram or leave us a lovely review on Facebook and Tripadvisor. Give Kurrito a go this Christmas. Just wanna say a massive thank you to Samina Kauser for giving up her time to share her story with us. I personally am such a massive fan of Kurrito and eat there more than I would care to admit, so it was a real honour to sit down and hear the story about one of my favourite local spots. This will be the last podcast released before Christmas so I'd just like to take the opportunity to say a big thank you to all you listeners, readers and followers of the show. I've already pre-recorded some incredible local stories that I can't wait to share with you in the New Year and there are plenty of interview dates set with some interesting and noteworthy folk. P.S. To get the latest shows delivered to your inbox you can sign up to our newsletter here.